Slightly Mad Studios announces a spectacular new addition to the lineup of vehicles in Project CARS as Aston Martin joins the WMD-powered racing title. Project CARS will feature seven Aston Martin models, including some of the company’s most iconic and successful race cars from more than 50 years of on-track competition. The selection of Aston Martins in Project CARS is kicked off by none other than the company’s first Le Mans 24 Hours winner: The DBR1. Driven by Carroll Shelby & Roy Salvadori, the open-top DBR1 clinched top honors at the French classic in 1959. Three years later, Aston Martin returned to top-flight sports car racing and Le Mans with the DP212. Powered by a 4-liter straight-six engine and driven by Graham Hill & Richie Ginther, the DP212 raced at the 1962 Le Mans 24 Hours and several other endurance racing events afterwards. Only a single example of DP212 was built, so Project CARS gamers will be able to experience a true and rare racing legend. Fast-forwarding into the modern age, the Aston Martin Racing works team returned to top-class prototype racing at Le Mans in 2009, debuting the Aston Martin DBR 1-2. Using the company’s proven 6-liter V12 engine, the closed-cockpit prototype racer competed successfully against both works prototype and privateer competition. 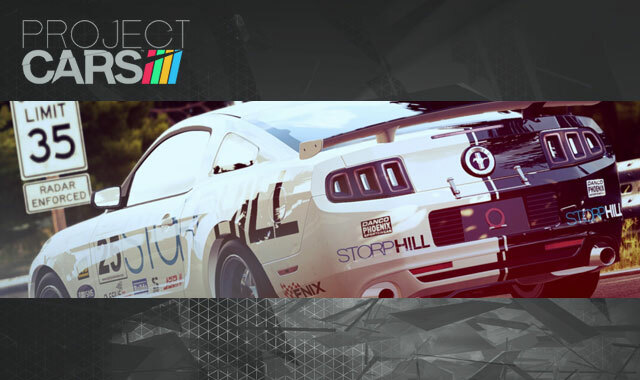 Project CARS will also feature the company’s recent choice for GT racing around the globe – The Aston Martin Vantage. The Vantage comes in several versions, including the V8-powered GT4-class version, the V12-equipped GT3-class challenger as well as the Vantage GTE that competes in the World Endurance Championship which includes Le Mans 24 Hours. Completing the lineup is the 2013 Hybrid Hydrogen Rapide S. Based on Aston Martin’s four-door, four-seat Rapide sports car, the car was developed in co-operation renewable energy experts Alset Global, using both a traditional 6-liter V12 gasoline engine and Hydrogen power. WMD members will be the first to test-drive these new additions once they are added to the Project CARS development builds.